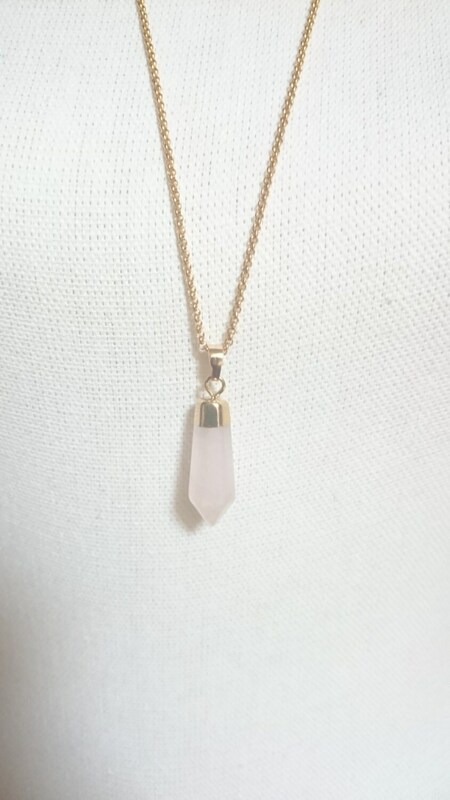 Rose Crystal Quartz 24k Gold Dipped Point Necklace//Pink gemstone pendant and Gold color necklace//Hypoallergenic stainless steel chain necklace. 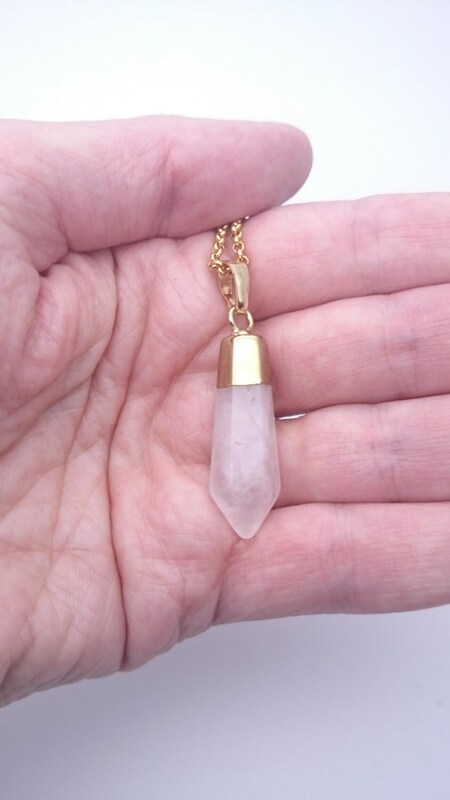 Rose Crystal Quartz 24k Gold dipped Pendant. 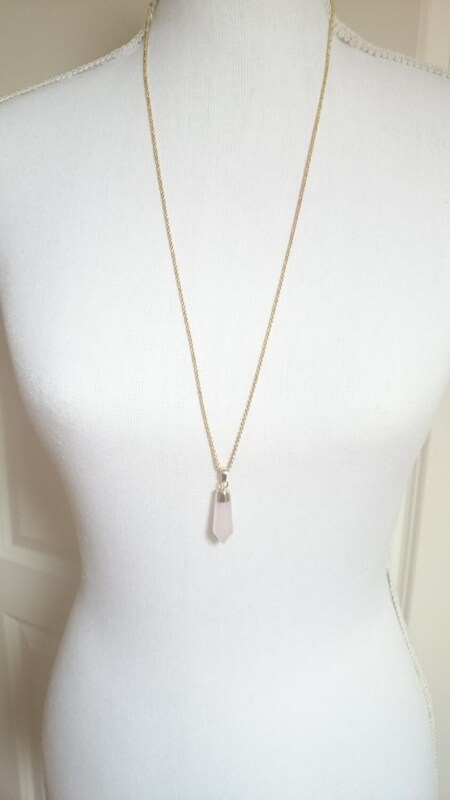 Long Necklace with 24k gold dipped Rose Crystal Quartz Pendant Point Bead Gemstone on stainless steel Gold Color Plated Chain closed with lobster clasp. 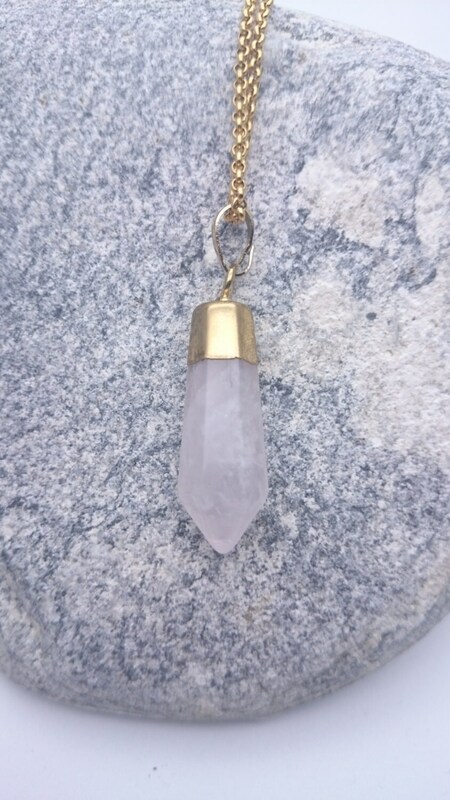 Pendant : 1,5" (4 cm) long with bail. 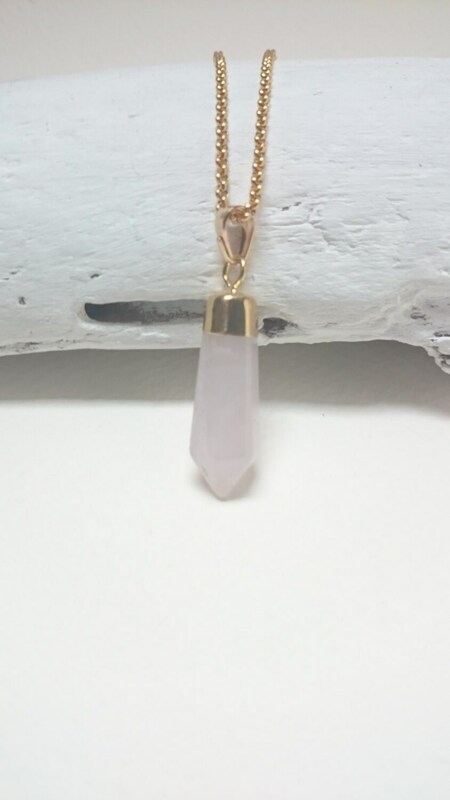 Natural Rose Quartz: semi-precious stone known for its soothing and calming virtues (among other goodies) - if you believe in the power of minerals - otherwise you will enjoy wearing a unique stone!